Microsoft has been a strong advocate for cross-platform play in the last year or so, particularly when Sony became most reticent just before they caved in for Fortnite and Rocket League. In this regard, they found an unexpected partner in Nintendo. Just a few months ago, both Phil Spencer and Reggie Fils-Aimé openly criticized Sony’s stance. As mentioned before, Sony has recently opened the cross-platform gates via a beta program that’s currently limited to those two games. It is unclear if and when the PlayStation Network will embrace Xbox Live for all multiplayer games but in the meantime, Microsoft isn’t sitting idle. 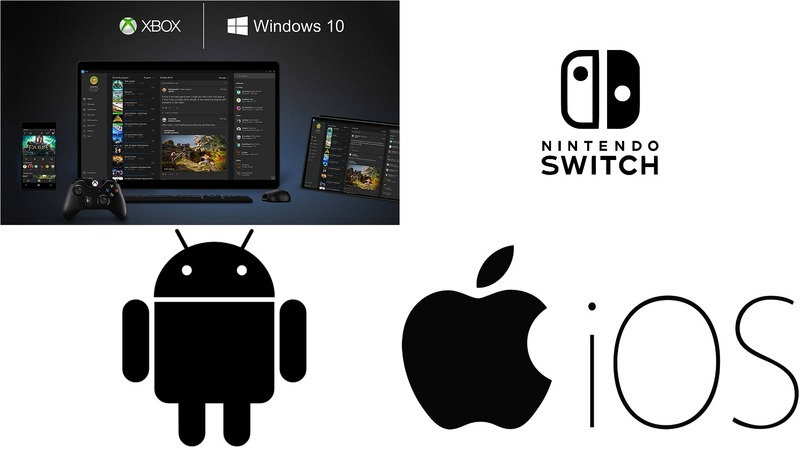 At the upcoming Game Developers Conference 2019, they’re set to announce a new cross-platform XDK (Xbox Software Development Kit) specifically targeted to bring together all the major platforms that aren’t blocking cross-platform play: PC, Xbox One, Nintendo Switch, Android and IOS. The goal is, once again, to try and reach that two-billion market of gamers which Microsoft is also going to court later this year with Project xCloud and its cloud game streaming. Jeffrey Shi (Principal Program Manager of Team Xbox at Microsoft) and Ramsey Khadder (Software Engineer of Team Xbox at Microsoft) will reveal this new XDK in an upcoming GDC 2019 session. Xbox Live is one of the largest, most engaged gaming communities on the planet with decades of experience providing managed game services to developers that save you time and unlock all of the social and engagement features that players love. Now Xbox Live is about to get MUCH bigger. Xbox Live is expanding from 400M gaming devices and a reach to over 68M active players to over 2B devices with the release of our new cross-platform XDK. Get a first look at the SDK to enable game developers to connect players between iOS, Android, and Switch in addition to Xbox and any game in the Microsoft Store on Windows PCs. – Xbox Live players are highly engaged and active on Xbox and PC, but now they can take their gaming achievement history, their friends list, their clubs, and more with them to almost every screen. – This will break down barriers for developers that want their communities to mingle more freely across platforms. Combined with PlayFab gaming services, this means less work for game developers and more time to focus on making games fun. Once the recording of this session becomes available on the GDC Vault sometime after the conference, we’ll make sure to report on the finer details of this new XDK and what it means for game developers looking to add cross-platform across PC, Xbox One, Nintendo Switch, iOS and Android. Microsoft Consolidates its Xbox One and PC models of Kinect into One – Could it Be an Indication of Cross-Platform Game Support?